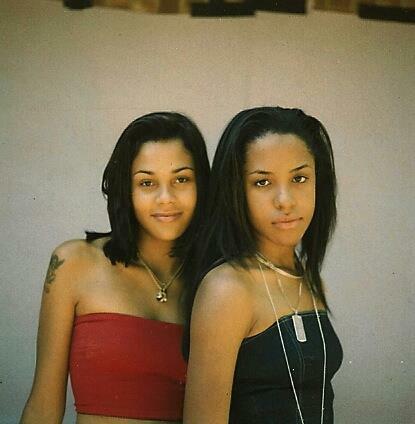 Aaliyah & Kidada Jones. . Wallpaper and background images in the Aaliyah club tagged: aaliyah babygirl aaliyah haughton queen of r&b. This Aaliyah photo might contain attractiveness, appeal, hotness, and bustier.